"Skillfully written and directed. Truly wonderful. Warm, ditzy and delightful." "Bernadette Peters is a revelation!" 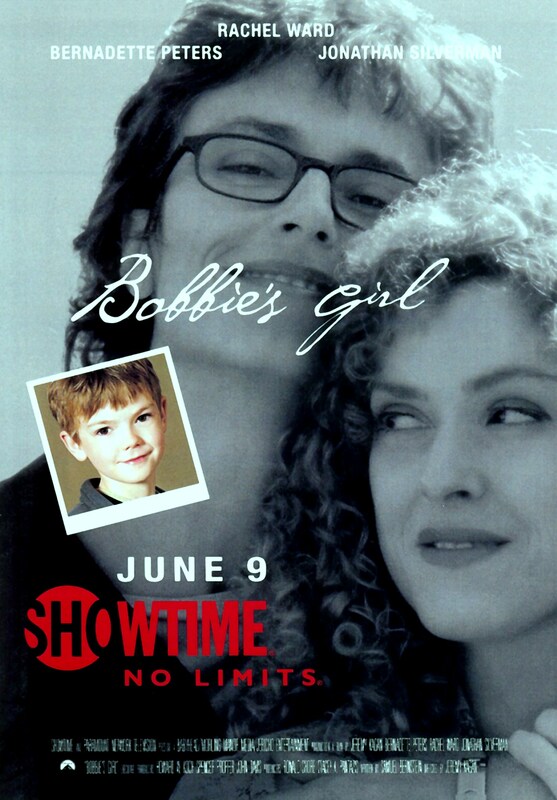 "It takes a child to teach the adults in Bobbie's Girl how to grow up. Hovering somewhere between fairy tale and quirky art-house attraction, the film, as written by Samuel Bernstein and directed by Jeremy Kagan, somehow finds a way to include a battle with breast cancer, a fair amount of theological discussion and a study of Chekhov's "The Three Sisters" among its broader issues of self-awareness, identity and family. The movie comes at a time when lesbian and gay parents across the country are asking for more legal protections for their families, and as the Traditional Values Coalition is criticizing the kid-oriented Nickelodeon cable channel for scheduling a program that will explore gay parenting. A story with neither heroes nor villains, but plenty of heart, Bobbie's Girl adds its own unique voice to the discussion. "Love comes in many forms, sexes and ways. And the love these characters share for one another is touching and hopeful. I walked away feeling that anything is possible." Bailey Lewis (BERNADETTE PETERS) and Bobbie Langham (RACHEL WARD) own the Two Sisters, an oddball Irish pub by the sea in Bray. With the help of Bailey’s karaoke-mad brother, David (JONATHAN SILVERMAN), they've created a home for an eccentric mix of customers and friends. Their world turns inside-out and sideways when Bobbie inherits a 10 year-old orphan (THOMAS SANGSTER) just as she learns she has cancer. It’s a funny, surprising, and sometimes strange exploration of what it feels like to find love, and what one extraordinary family is capable of becoming when that love is threatened.